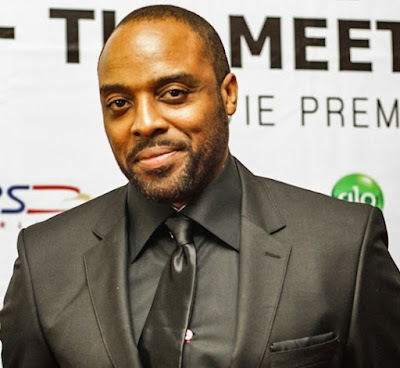 According to reports from Encomium magazine newly married actor Kalu Ikeagwu was arrested by security agents, in front of his house yesterday, following a robbery and homicide case. He explained to his worried neighbours that his personal assistant bought a stolen phone from Computer Village in Ikeja, and the thieves reportedly killed one of the victims of the robbery. He told neighbours that the crime happened in Abuja, and the phone was traced to Lagos by the security agents who later came for him since his address and name were used during the purchase. One of the neighbours told Encomium that his arrest was in the afternoon after he dropped his step daughter at home from school. He was said to have received a call from one of the operatives who had been waiting for him. And as soon as he stepped out of the gate, he was asked if indeed he was Kalu Ikeagwu, and he confirmed his identity. He was politely invited, but was about arguing with them when they brought out their guns. Neighbours who had tried to step in, stood back as soon as they saw the guns. He was ferried away in a bus. By the time they left, his wife was crying.